Don’t let the name fool you. 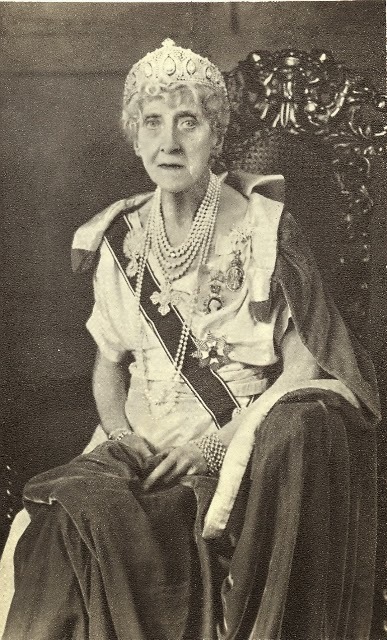 Franziska Josepha Louise Augusta Marie Christina Helena, commonly called Marie Louise, of Schleswig-Holstein, was born and bred in England. 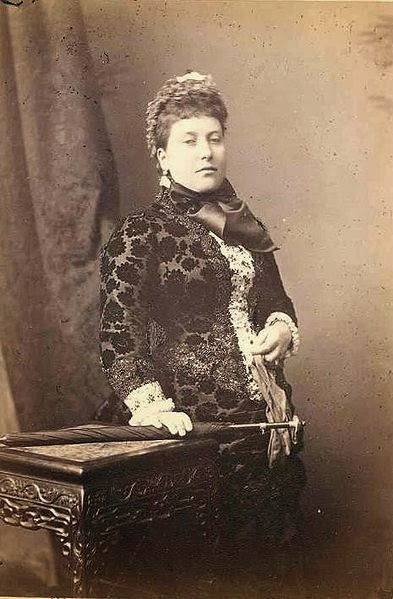 Her German father Prince Christian had, in fact, agreed to live there when he married Princess Helena, the third daughter of Queen Victoria, so that she could continue her duties as assistant and secretary to the Queen. 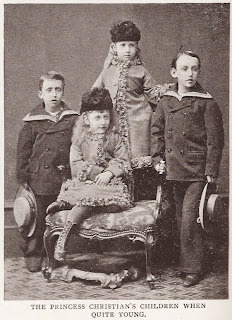 Princess Helena gave birth to Marie Louise on 12 August 1872. The little girl enjoy a careless and privileged childhood, spent between her house at Cumberland Lodge, near Windsor, her grandmother’s country residences, Osborne and Balmoral, and sojourns on the continent to visit her royal relatives. 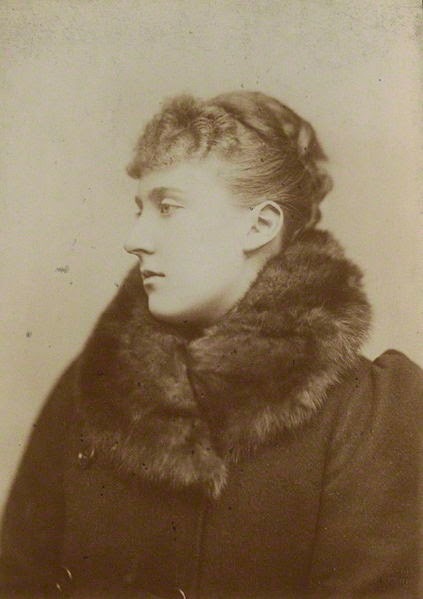 Marie Louise was especially close to her cousin Alix of Hesse, who would go on to marry Tsar Nicolas II and lose her life in the Russian Revolution. But that’s in the future. Now, Marie Louise was more busy with her studies. She learned literature, French, German, history, dancing, drawing, manners and etiquette. 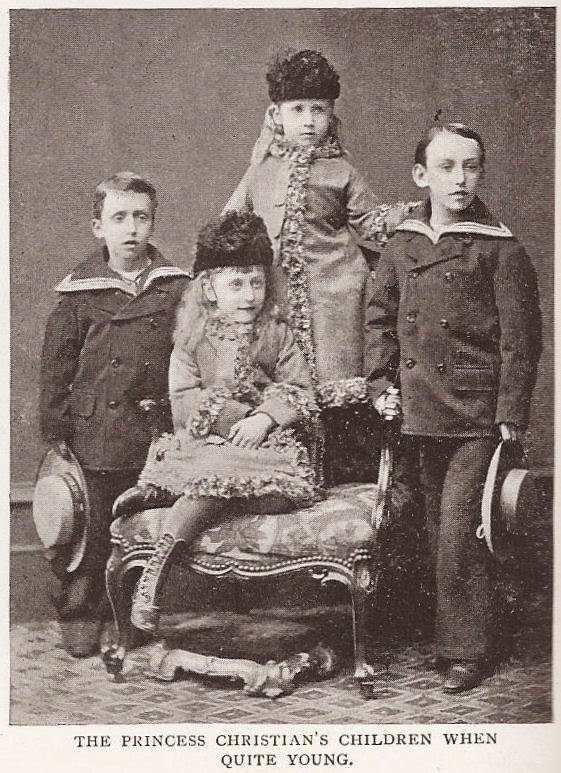 When Marie Louise was 18, she attend a cousin’s wedding in Berlin. There, she met Prince Aribert of Anhalt, a good-looking and young cavalry officer, and fell in love with him. 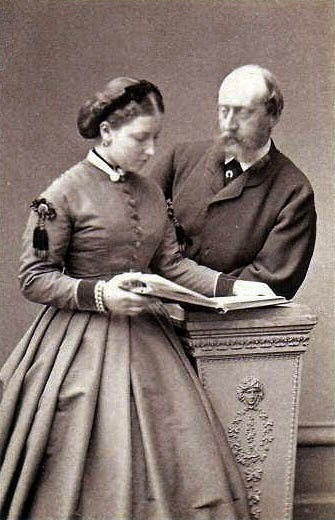 Her cousin the German Emperor Wilhelm, who had hoped Marie Louise would marry his candidate to her hand, Ferdinand of Romania, arranged the proposal, and in July 1891, almost two years after their first meeting, the couple was married. Marie Louise moved to Anhalt, but she found life difficult there. Although it was just a small duchy, etiquette in her new home was very strict, which didn’t allow her to have as much freedom as she had enjoyed back home. So, to escape from it, she started travelling a lot, visiting countries such as Italy and Tunis. At first, her husband often went with her, but, as the years passed, she travelled more and more on her own. 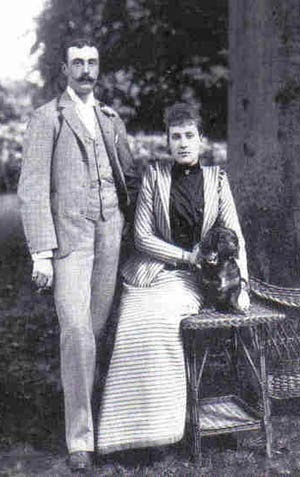 Aribert had always been a busy man, and, even at home, during the first few years of their marriage, they could spend weeks without seeing each other. They never had any children. 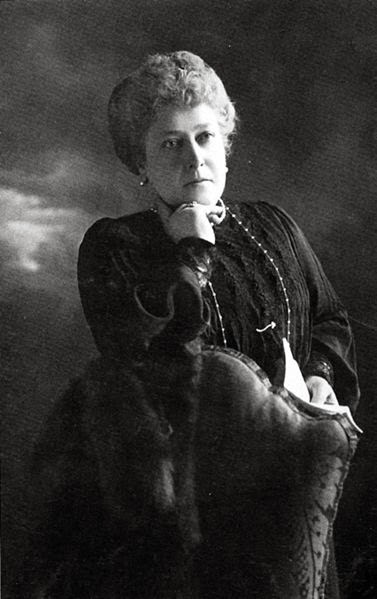 In 1890, Marie Louise’s doctor recommended she visit the US and Canada. 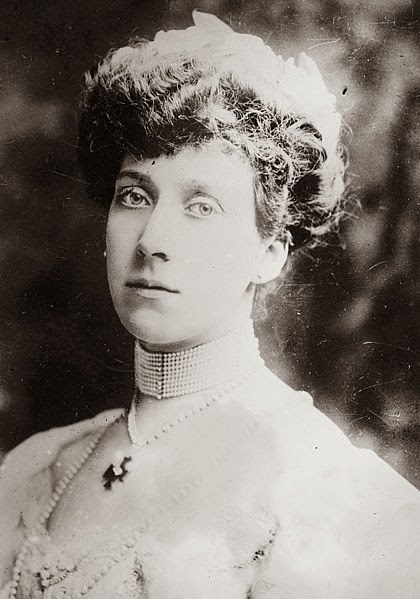 But when she reached Ottawa, she received two telegrams, one after the other, from her father-in-law and her grandmother Queen Victoria, urging her to come back home to England immediately. The worried princess duly obeyed. Once home, she discovered, much to her shock, that while she was away, her father-in-law, with whom she had always got on well, had declared her marriage to Aribert annulled. There were rumours that he had been caught in bed with a young male servant, but we’ll never know what really happened. And so, poor Marie Louise was once again single and alone. She still considered herself married in the eyes of the church, though, so she never remarried (and neither did Aribert). Instead, she kept travelling, did charitable deeds, which included nursing and girls’ clubs, and took up enameling and jewelry making. She was also very involved in the creation of the doll house created for her friend Queen Mary. 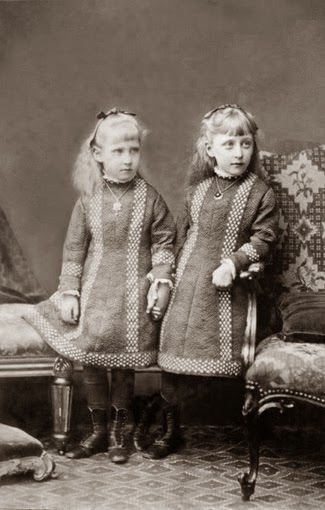 After her parents’ deaths, Marie Louise lived with her sister Victoria, nicknamed Thora. 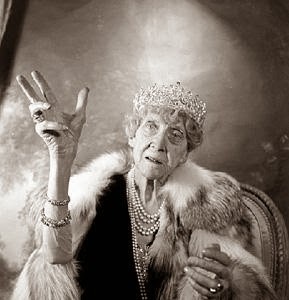 She attended the coronations of four sovereigns – Edward VII, George V, George VI, and Elizabeth II, and in 1956, she published a memoir titled “My Memories of Six Reigns”. She died a month later in London and was buried at Royal Burial Ground, Frogmore at Windsor Great Park.